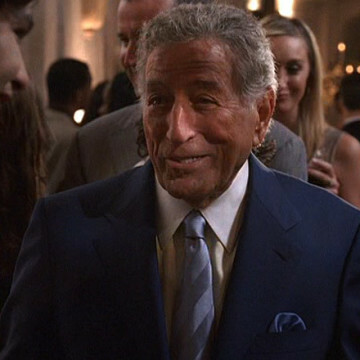 Even Grammy and Emmy-winning performer Tony Bennett makes a cameo appearance on Entourage. He does so during the second episode of the show’s fifth season, titled Unlike a Virgin. The character of Justine Chapin records a music video for her duet with Mr. Bennet and invites Vince and his friends to watch and celebrate after its completion. Tony performs with Leighton Meester’s character around the episode’s nine-minute mark and chats with Vince about thirteen minutes into the episode.